Three pieces of 1950s furniture designed by Danish architect Vilhelm Wohlert are being recreated by Shanghai brand Stellar Works, to celebrate the 60th anniversary of the Louisiana Museum of Modern Art. 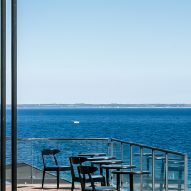 Stellar Works, which has been reproducing Wohlert's archival designs since 2012, has created reissues of two chairs and a lamp for the museum, which is located on the coast to the north of Copenhagen. They are being used to furnish the newly refurbished Louisiana Cafe. 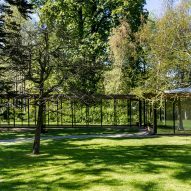 Two of the designs selected – the Louisiana Chair and the Louisiana Lamp – were made by Wohlert for the opening of the museum in 1958. 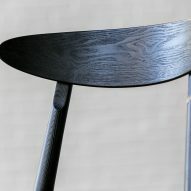 The third, the Wohlert Bar Chair, was originally created as a prototype but was never commercially produced before now. 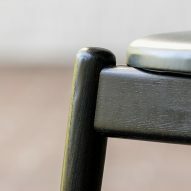 The Louisiana Chair was originally commissioned by museum founder Knud W Jensen as a functional chair that could be "easily moved around the galleries and neatly stacked when not in use". Featuring a curved backrest and a padded circular seat, it was designed to complement the surrounding architecture. When stacked, the chair forms a sculptural curving structure. The Louisiana Lamp was developed for use in the museum's galleries, library and original cafe. 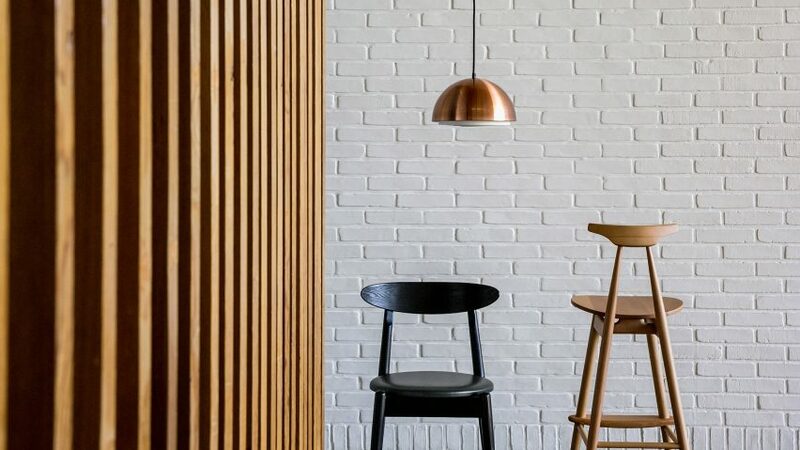 Inspired by the old lamps found in sculptors' studios at the Royal Danish Academy of Arts in Copenhagen, the lamp has a copper hemisphere with white, recessed metal louvres. 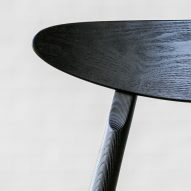 The Wohlert Bar Chair was developed from a wooden bar stool prototype that was discovered by Stellar Works founder Yuichiro Hori at an auction. 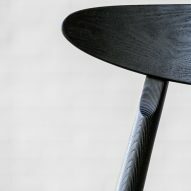 "Yuichiro Hori purchased a prototype chair when it came up for auction a few years ago and, with the Wohlert family's consent, has now fulfilled a long-held dream to add the design to the Stellar Works portfolio in 2018," said the brand. Stellar Works will add the three new reissues to its Wohlert collection – a range of tables, chairs and benches all created by the architect in the 1950s. The chair and stool will be available to purchase at the museum gift shop, along with a series of black anodised accessories by the architect, including a tray and a wastepaper bin. "Wohlert's furniture and lighting have become design icons, thanks to the way they often employ structural elements to create sculptural elements," said Stellar Works. 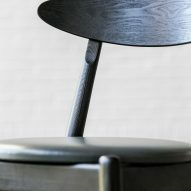 Other recent launches by Stellar Works include indigo-coloured wooden chairs by Crème and a collection of furniture by architect David Rockwell.